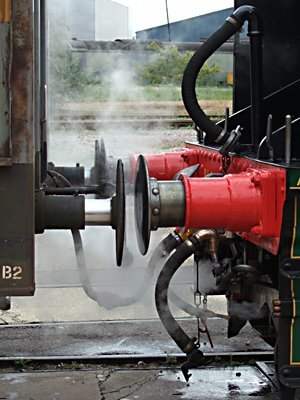 Home - What REALLY Happened To Steam - For more than 20 years, book authors and magazine writers have unwittingly perpetuated errors with regard to the withdrawal and scrapping of many BR steam locomotives. Now a major project is being launched to set the record straight. The Railway Magazine article November 2009 - What REALLY Happened To Steam - This page reproduces the article printed The Railway Magazine November 2009 which explains why for more than 20 years, book authors and magazine writers have unwittingly perpetuated errors with regard to the withdrawal and scrapping of many BR steam locomotives. The Railway Magazine article October 2010 - An update to the orginal article which appeared in Railway Magazine November 2009. Since the original article, a number of queries have been received concerning the revelations, so it is thought that the best way to answer these is in question & answer form. The Railway Magazine article Update May 2013 - An update to the orginal article which appeared in Railway Magazine November 2009. Since my exclusive articles in the November 2009 and October 2010 issues of The Railway Magazine, a great deal of additional information, particularly regarding storage of withdrawn steam locos, has been received. Download - To enable all our readers to be able to read all the articles in as many formats as possible (ie electronic and print), we have reproduced all the articles as they appeared in The Railway Magazine as downloadable Adobe Acrobat PDFs. Diesel & Electric Locomotive Disposals proven to be incorrectly recorded in disposals books - This page list diesel and electric locomotives that have conclusively been established to have had a disposal other than that persistently quoted in disposals listings.